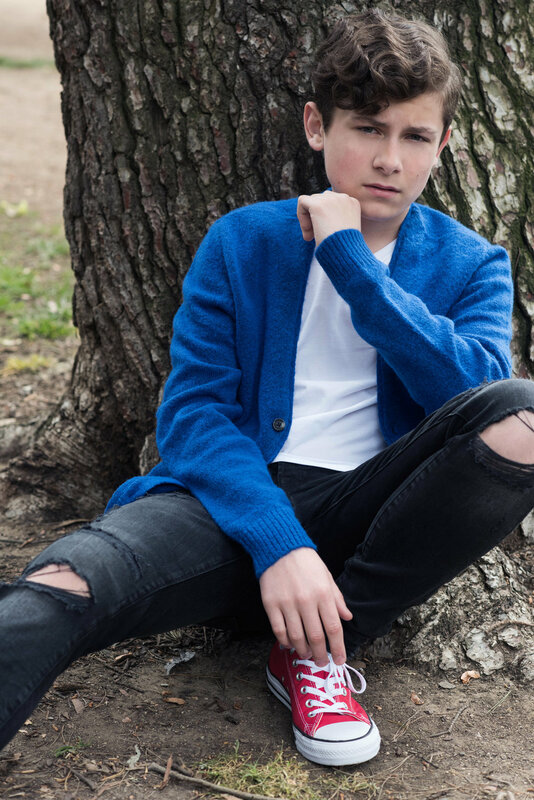 Kyan Zielinski currently stars in the new Amazon series "The Dangerous Book for Boys" as Liam McKenna. In 2019, Kyan can be seen in horror film They Reach and comedy-drama Small Things. 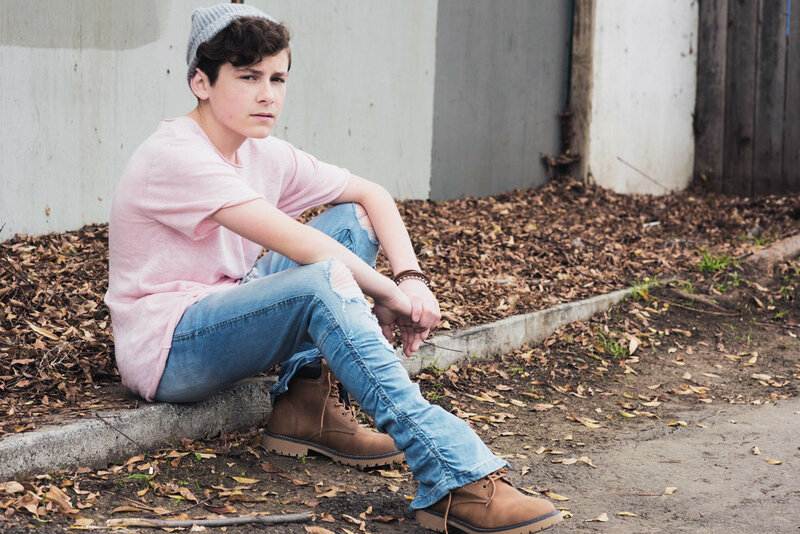 We sat down with Kyan to learn more about his recent roles! When did you first get your start in acting? KYAN: "Starting when I was really young, around 3 years old, I would watch a movie or television show and I would ‘record’ the dialogue in my brain. When we would watch it a second time, I was able to recite the lines right along with the actors. My parents quickly recognized my talent of memorization and love for acting, so they enrolled me into summer acting classes at about 5 years old. At age 8, I was cast in my first main stage theatre production of Oliver! at the 5th Avenue Theatre in Seattle, WA. In 2016, I wanted to take a break from theatre and give screen acting a try. I was lucky enough to find my amazing manager Matt Jackson with Moving Pictures Artists. He helped me prepare for this new adventure starting my film and television career." KYAN: "I love being able to express myself as well as become other people. When I act, there is a sense of fulfillment when I’m doing it. I love challenging myself, and learning and stretching as an actor, I just love it. It’s my favorite thing to do. I’m always eager and excited to see what is next!" You currently star as Liam McKenna on the Amazon series “The Dangerous Book for Boys” – can you tell us a little about the show? KYAN: "The Dangerous Book for Boys is about a middle-class family that lives in Akron, Ohio. Season One takes place shortly after they lose their patriarch, a father of three sons, Patrick. The show is mixed with drama and comedy as well as a side of fantasies that the youngest boy Wyatt experiences. While they deal with the recent loss, Patrick’s identical twin, Terry, comes back into their lives bringing some well needed laughter into the house with quirky comedy. Liam is the oldest of three boys in the family. He is a mature kid who is smarter than his two brothers and he reminds them of this often. When dealing with the loss of their father, he soon realizes that he must become the man of the house and feels that it is extremely important to look out for his mother and be a good role model for his brothers. He doesn’t express these feelings much in the first season, but he knows down deep that he needs to step up. Liam is very put together and structured, but when his father passes, things begin to fall apart, and it is hard for Liam to deal with this since he is so organized and structured normally." In 2019 we can expect to see you in the horror film “They Reach” – what was it like working in horror? Did you find it to be challenging? KYAN: "They Reach was really fun to work on! My character is Wesley. He is the cool kid of the school running for class president. He has a popular girlfriend and he likes to play people just for kicks. Horror is one of those tough genres to act in, as sometimes depending on the type of horror film, it can require a lot of emotion. I hope to do more acting in this genre in the future." We can also expect to see you in the upcoming comedy-drama “Small Things”. Can you tell us a little about this project and your role? KYAN: "In Small Things I play Sammy, the leader of the bullies in school. I was able to do some fun things in this role as I had to take combat training from a Hollywood trainer that has worked with big actors in the industry like Jean-Claude Van Damme. That was awesome!" Of all the roles you have portrayed, which would you say has been your favorite? KYAN: "I would definitely have to say, Liam McKenna. I instantly connected with this character from the first time I read the Pilot. Right from the beginning, I knew this project was special and I knew how I was going to portray the character so that was really cool. Liam has a complexity about him that I just love. I would really enjoy having the opportunity to play him more in a Season Two. He has so many fun and challenging lines plus I get to learn new words like troglodyte." Do you have any goals that you hope to achieve as an actor in the future? KYAN: "I hope to act in at least one project of every main genre. Drama, Action-Adventure, Thriller, Family, Horror, Comedy, Animation, Sci-Fi, Mystery, Western, Crime, and more! And for those that would like to follow me, you can find me on Instagram (@kyanzielinski), on Twitter (@KyanZielinski), and on my YouTube channel KyanZielinski Vlogs." Betsy Brody May 26, 2018 brian guest, interview, unsolved: the murders of tupac and the notorious b.i.g.